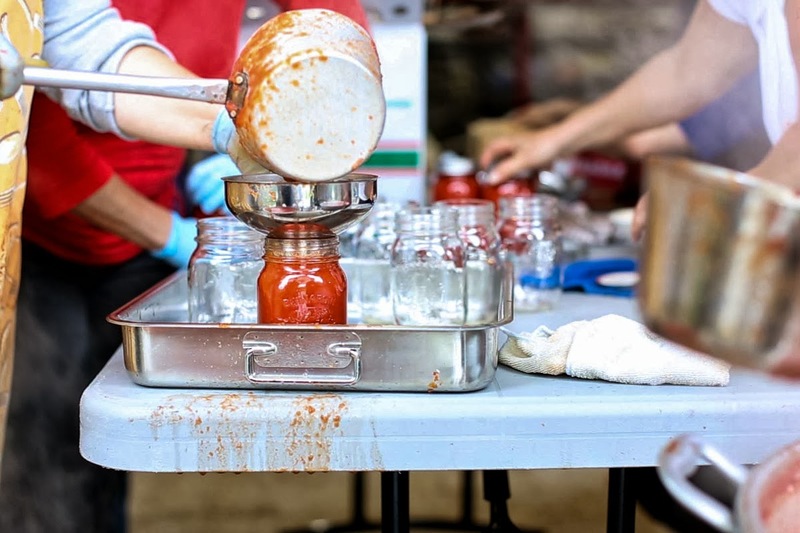 Before continuing my conversation with Teresa about her family’s annual tomato jarring tradition, I’d like to thank all the families involved in this years pomodori event and for sharing the ins and outs of this amazing tradition. Thank you to the families Tiano, Marelli, Mercuriano, Novia, Cipollone, Corbo, Ferrara and Deravian. And to my brother Ramin for the great photos (stills!). 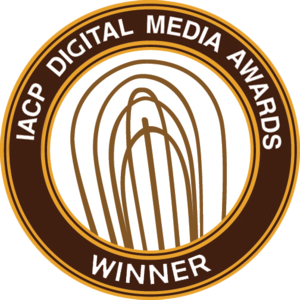 Grazie mille a tutti. 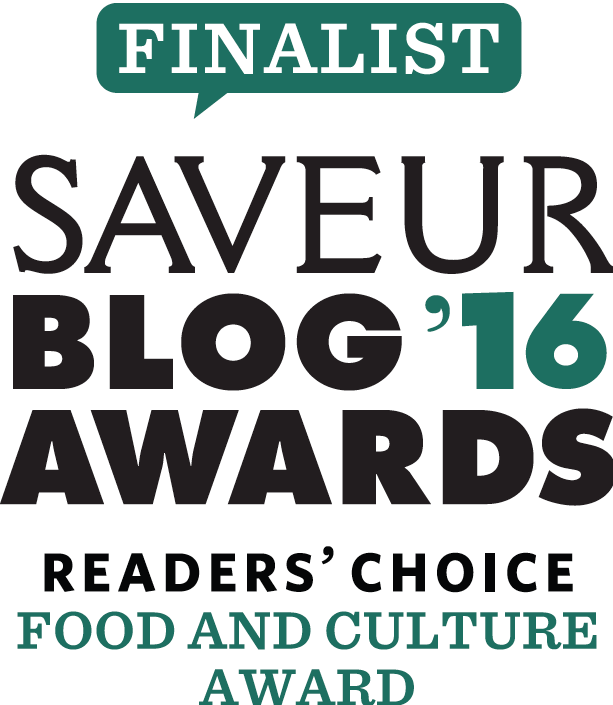 Can you walk us through the jarring process? Try to buy ripe but firm tomatoes. Once you get the tomatoes home you need to take them out of the bushels. They need to be sorted in case there are any rotten ones (if they stay in the bushel the rot will spread). The tomatoes need to be laid out on a large flat dry surface in a single layer. We normally use three or four large folding tables. The tomatoes need to ripen because the riper they are the more sauce they will yield. This process can take anywhere from 4-10 days depending on how ripe the tomatoes were when you purchased them. You need to ensure that the mason jars are sterilized . Lids need to be sterilized as well and you need to be sure there are no dents, dirt or rust on them (if they are being reused). The sauce can be made indoors or outdoors. My family makes it outdoors. We usually make it at my sister’s house using the space in the garage (thoroughly cleaned) and her driveway. 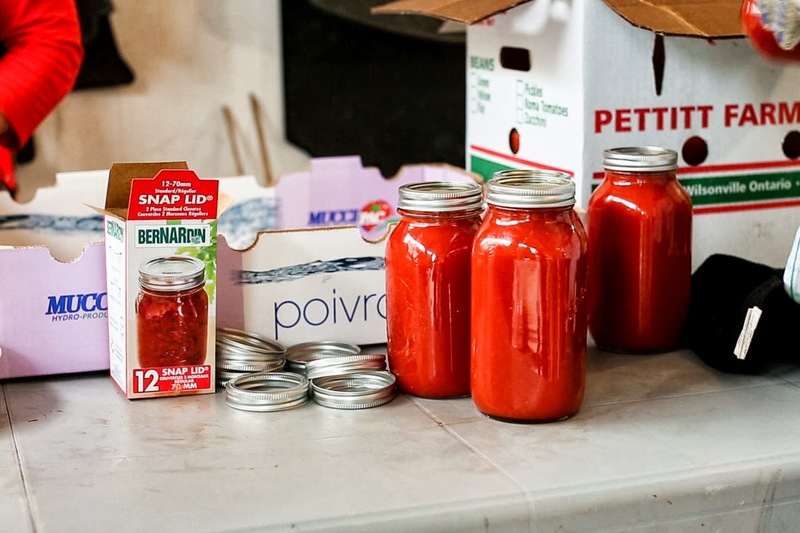 STEPS: Day of tomato sauce making. REMEMBER: STEPS 2-10 ARE DONE SIMULTANEOUSLY IN AN ASSEMBLY LINE LIKE FASHION AND EACH STEP REQUIRES A MINIMUM OF TWO PEOPLE. 1. 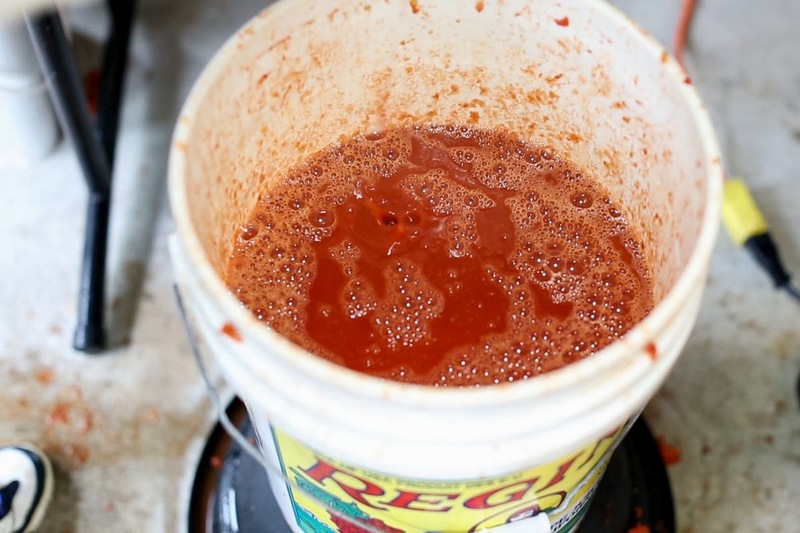 Assemble your electric tomato squeezer machine on a table and have 1 clean plastic bucket or pot placed below it where the puree comes out, a medium aluminum roasting pan beneath the nozzle where the skin and seeds come out and another bucket to pour the seeds and skin into. Place your bushels over large pots or buckets. 2. 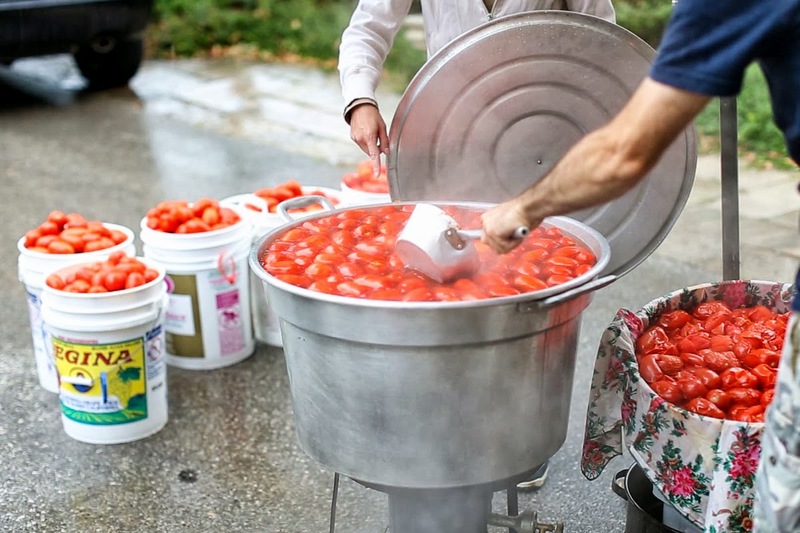 Tomatoes need to be washed thoroughly, to do this put as many tomatoes as can fit into your buckets and wash thoroughly with cold water (see pictures in Part 1). Drain the dirty water. Fill your stainless steel pots about 2/3 with water so that all tomatoes are submerged. 3. Place the pots on burners, turn the fire on and bring the water to a full boil. Let tomatoes cook for about 20 minutes, stirring regularly to ensure they do not stick to the bottom of the pot. 4. 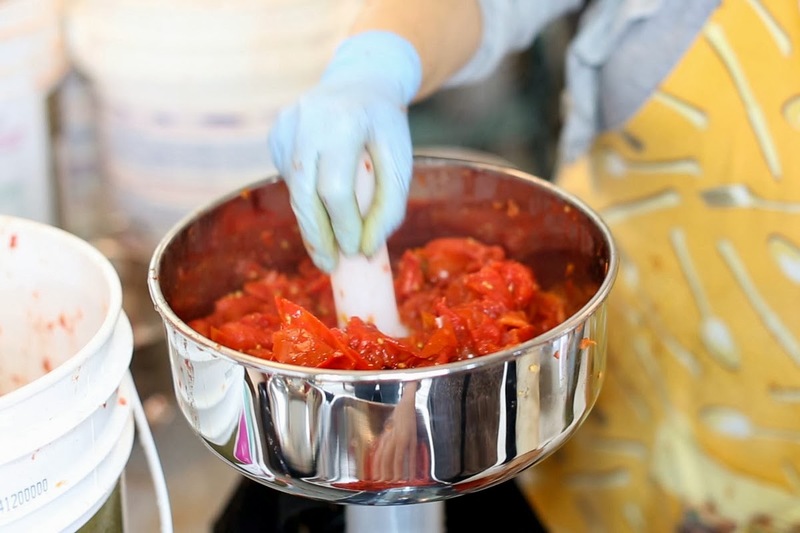 Place cheesecloth in bushel (cover bottom and sides) and carefully pour cooked tomatoes into bushel. Poke the cooked tomatoes with skewers to allow excess juice to be strained through cheesecloth (approximately 10-15 minutes). 5. Once the excess juice has been strained, it has to be pureed through the electric tomato squeezer. 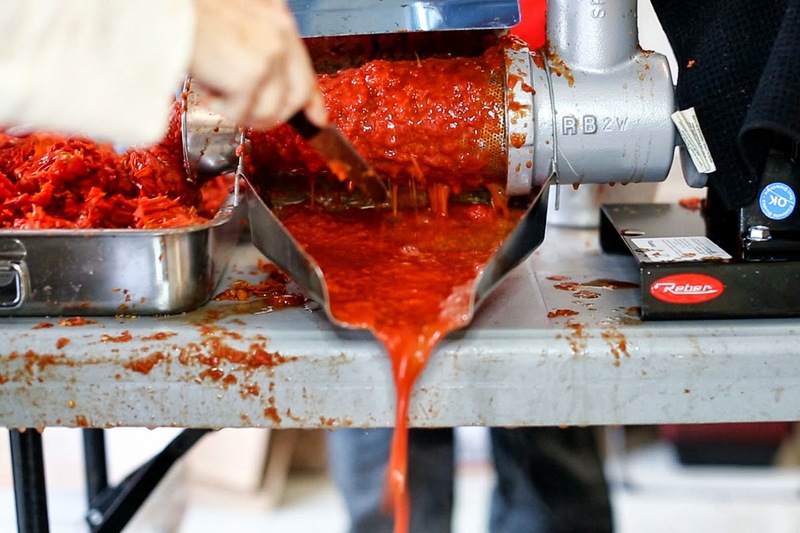 This portion usually requires three people; one person to continuously place tomatoes into funnel part of machine, one person to operate the machine and one person to constantly clean the nozzle so that it doesn’t clog up and to ensure the skins go into the pan and then into the bucket. Once the bucket has been filled place it aside. 6. You may choose to repeat Step 5 one more time using the skins and seeds. This depends on how thick the puree is initially. 7. 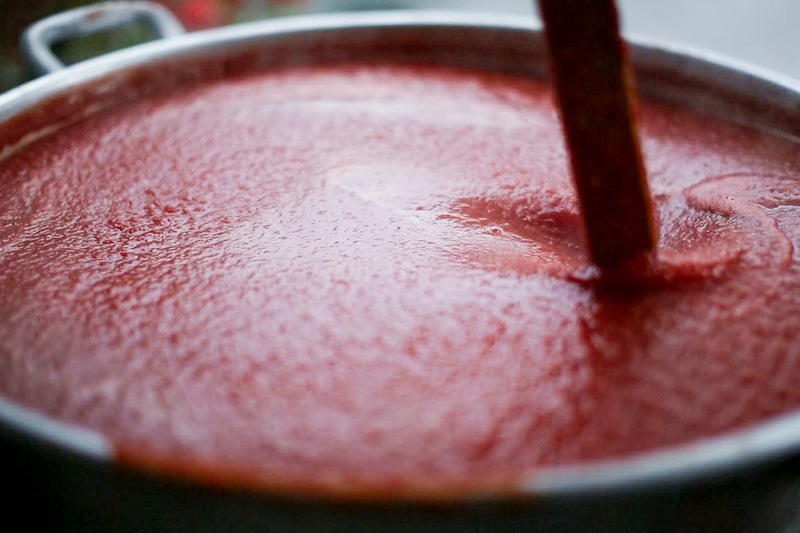 Once you have pureed your cooked tomatoes you pour the puree into the large pot. 2-3 inches from the top. 8. 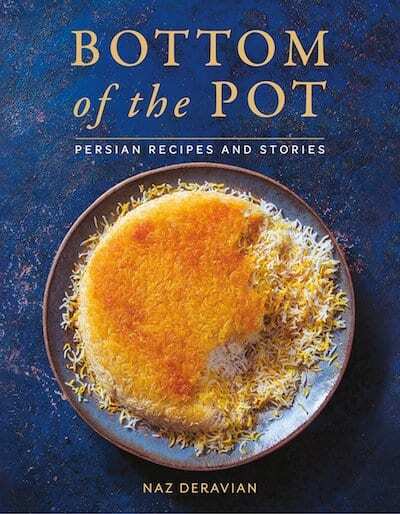 The pot needs to be placed on the burner and brought to a full boil, stirring regularly. 9. 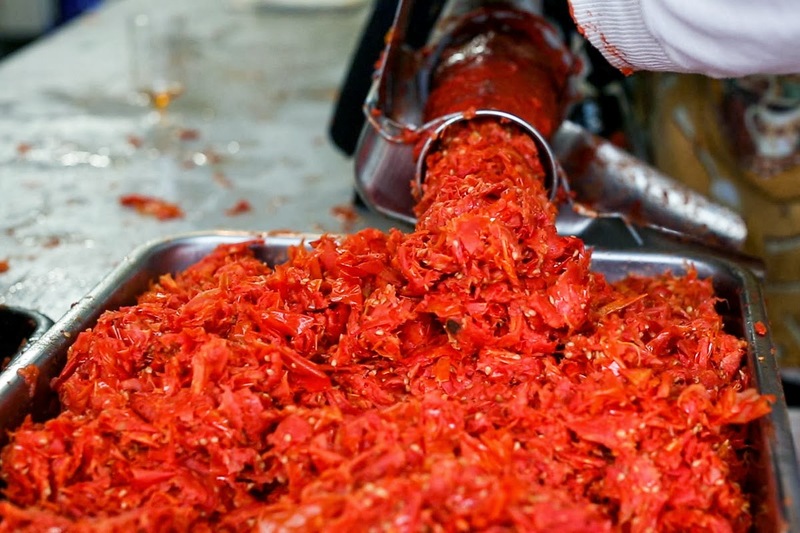 Remove tomato squeezer machine from the workspace. Wipe it down. Make sure clean empty jars are placed on workspace. Snap lids need to be heated (sterilized) so place them in a medium pot and immerse in boiling water and heat for a few minutes. 10. 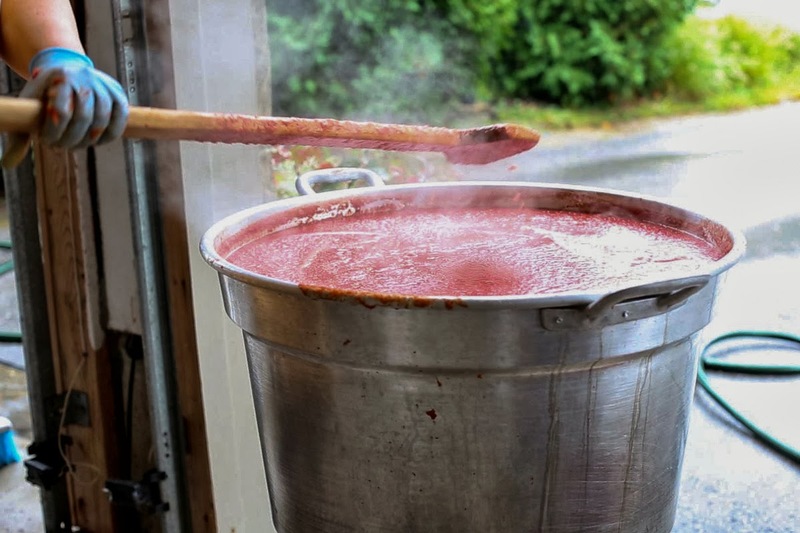 Once the tomato puree comes to a full boil it has to cook at that heat for 20-25 minutes, being stirred constantly. 11. Begin filling your jars. This process takes about 3-5 people. One person to continue stirring the puree on the heat. One to fill the jars using a ladle. One to place heated snap lids with rims and clean the jars if excess puree has spilled over. One person to make sure the rims are securely tightened (make sure this person is wearing heat resistant gloves) and one to place the filled jars into boxes. 12. You will hear a popping sound either immediately or throughout the cooling down period. This sound ensures that the jars have been properly sealed. 13. Boxes of jars need to be stored in a dry dark place. The sauce needs to cool down for 2-3 days. It’s then ready to use. The jars will keep for at least a year. Please note: Teresa tells me since they double boil their sauce they do not put the jars in a hot water bath process. Nor do they add any lemon juice or citric acid to their tomato sauce. However if you choose to do so for extra assurance against spoilage there are plenty of resources available to give you exact amounts on the lemon juice/citric acid addition and how long to immerse your jars in the hot water bath (depending on where you live). 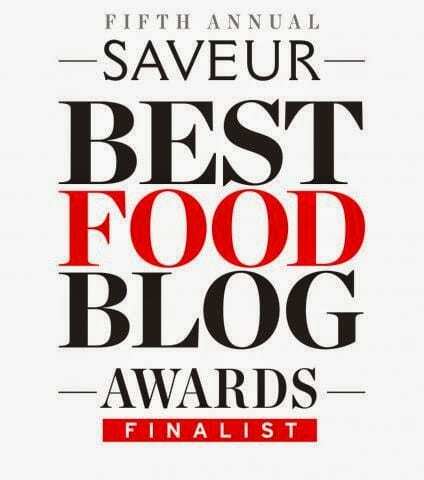 I am so inspired to make and jar our own tomato sauce/puree. With summer now long gone and fall in full swing (thankfully we had our first LA rainfall today) this gives me a few months to gather my supplies and recruit interested parties. Wanna sign up?